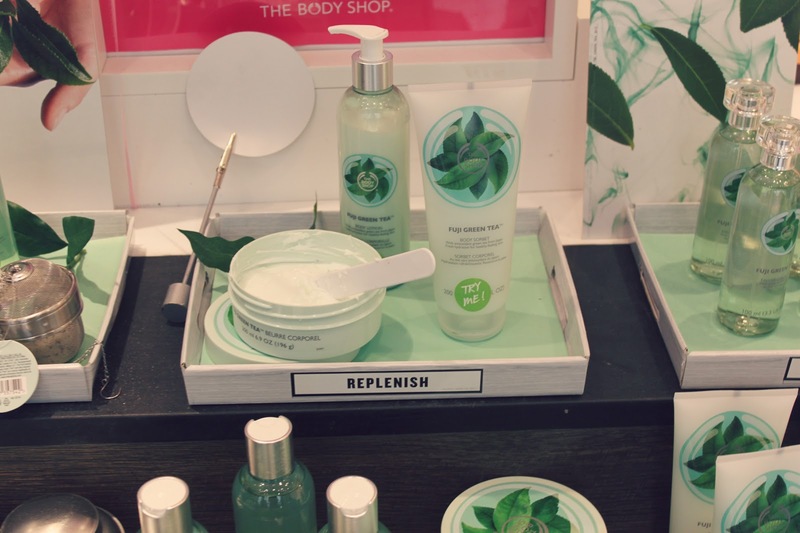 Today I wanted to share with you what I got up to last Friday night at the Body Shop VIP bloggers event, and some reviews of the products I've tried over the weekend. This includes my first experience of a tea bath and my first clay mask (scary gremlin picture included!). Hope you enjoy! We were kindly invited down to the Body Shop at the White Rose Centre in Leeds (my regular shopping hangout since I only live round the corner!) to preview some of their brand new ranges launching this spring, and also to preview some of their recently launched products. One of the most fun things I think about being at a blogger events is that you can feel completely normal about pulling out the camera at every given opportunity, clicking away like a mad woman without anyone batting an eyelid (cos everyone's doing the same!). Not to mention how friendly most bloggers are (especially the local Leeds girls! ), I love how everyone's just excited to be there and chat - it makes for such a fun atmosphere. 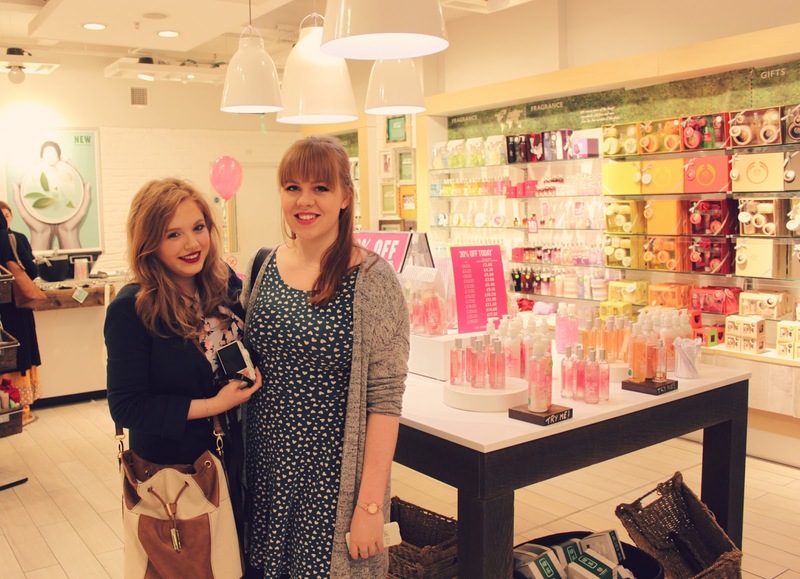 Before the event kicked off I had a mooch round the store with fellow bloggers Rhianna (Robowecop Blog) and Kayleigh (Very Berry Cosmo Blog). Gotta love Rhianna's reaction to finding the bath tea product!! 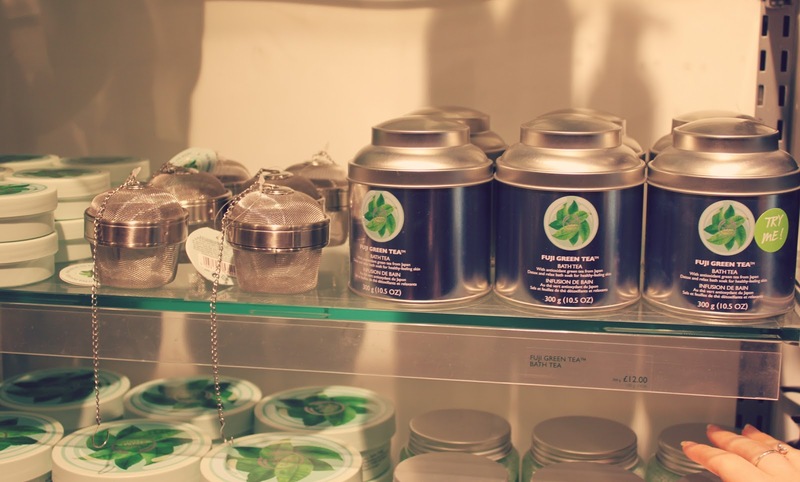 The event began with demonstrations of how to use/apply products from the brand new Fuji Green Tea range. They smelt bloody amazing! And I was excited to get to see how to use this Green Tea Strainer that we'd spotted earlier. 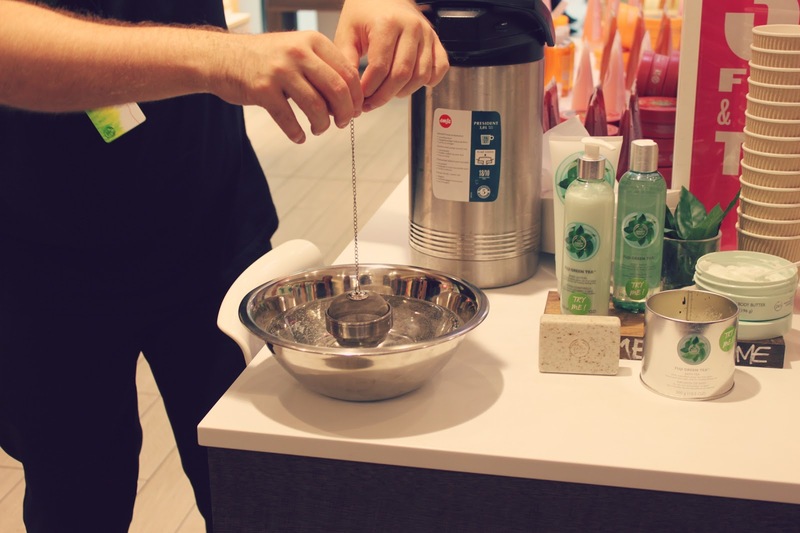 We were shown how you simply fill the tea strainer with the green tea bath salts, then run hot water over it in order to get the infused silky water and release those amazing green tea scents. Just imagine all that antioxidant goodness on your skin! I had to make a purchase - keep reading for my review! We also got to sample products from the equally as heavenly smelling Virgin Mojito range - which is due to be out next month. The range included body butter, body scrub, shower gel, body sorbet and my personal fave the "body splash" - it smelt so fresh! So, whilst I'm definitely no expert when it comes to reviewing beauty products, I still thought I'd share my honest opinions of the products I bought.. here goes nothing! I was extremely excited to try this (mainly because I liked the idea of jumping into a giant cup of tea! 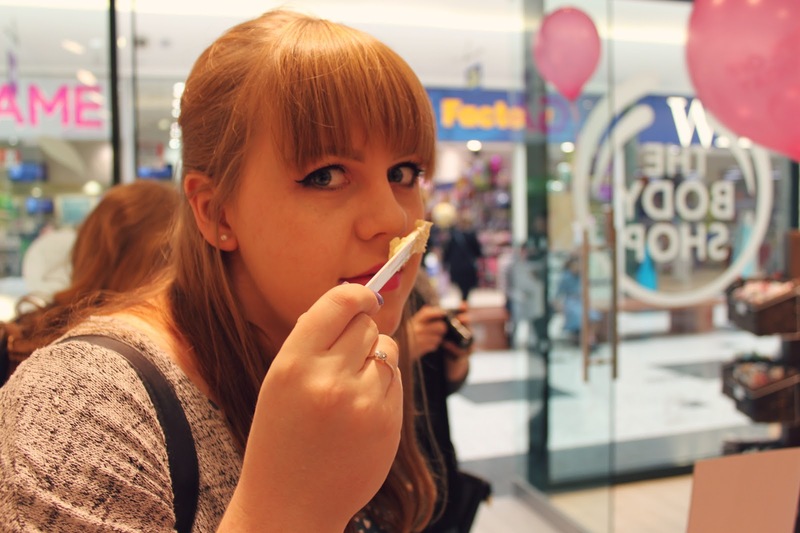 ), but also because it smelt so lovely in the demonstration I couldn't wait to fill my nose with it again. 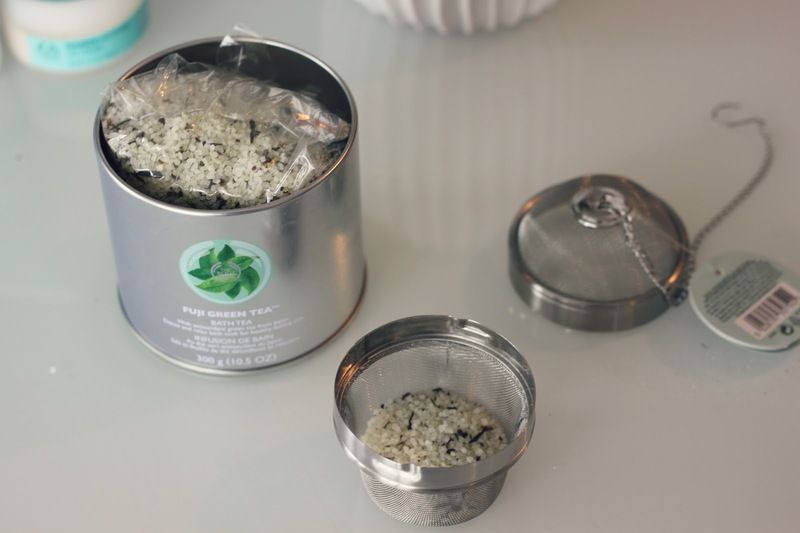 On first attempt I ended up not putting enough of the tea salts in - i'd only filled it a quarter of the way and not a lot was happening, so I threw a couple more handfuls in until the infuser was half full which seemed to do the trick! 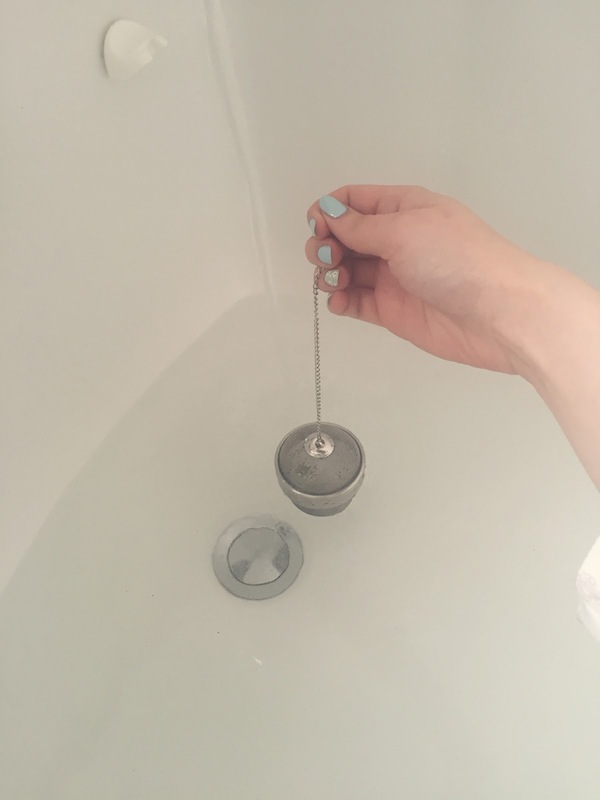 There was a little issue in the fact that the actual strainer chain wasn't long enough to touch the water at first, so I had to hold it there and let it infuse away until the water got a little higher and I could hang it. 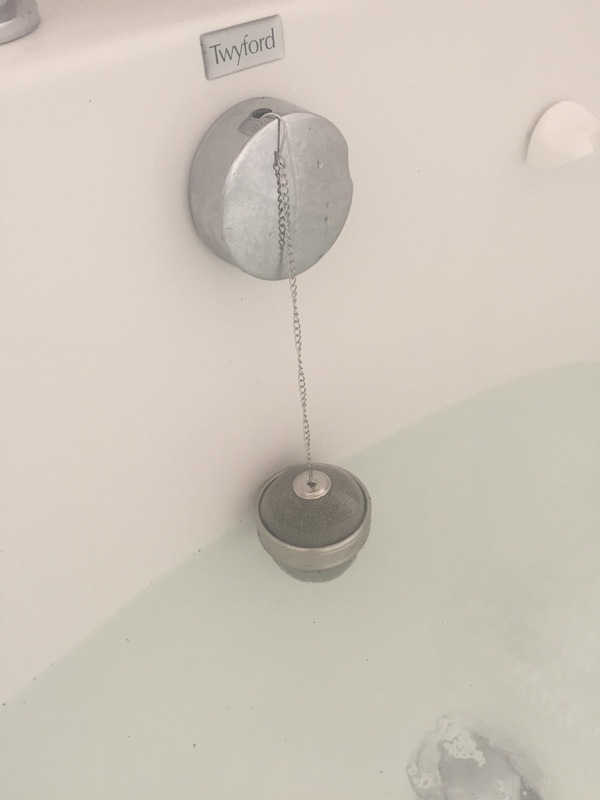 Not a huge issue, but I am kinda lazy and prefer being able to leave the bath doing it's thang. Anyway, before long it was time to jump in and ahhh wow the smell was so gorgeous, and I loved how the water had a lovely silkiness to it. I felt super relaxed and enjoyed having a good ol soak. The only thing that was missing was my usual abundance of bubbles, no bubble beard for me this time! Pros: Made the water quite silky, amazing smell. Natural product. Skin felt soft afterwards. Cons: I missed my bubbles! And strainer chain not quite long enough. I really wanted to like this. My current moisturiser from Olay is far too thick and heavy - not great for oily skin like mine at all, so when I tried this one on my hand in the shop it seemed like everything I was looking for - a really light feel and not too scented. I was sold. Sadly however, when the day came to try it I was really disappointed. I went through my usual Liz Earle cleanse and polish routine, then applied this afterwards. Now I wouldn't have ever considered myself to have sensitive skin - but as soon as this touched my face it tingled. Not so much a burn but just an unpleasant warm tingle. My Olay may be a bit thick but at least my skin doesn't tell me noo when I put it on, so for this reason I won't be using the product again. (Boo! The search continues..). Pros: Really light, nice subtle fragrance. Cons: My skin was too sensitive for it, darn. 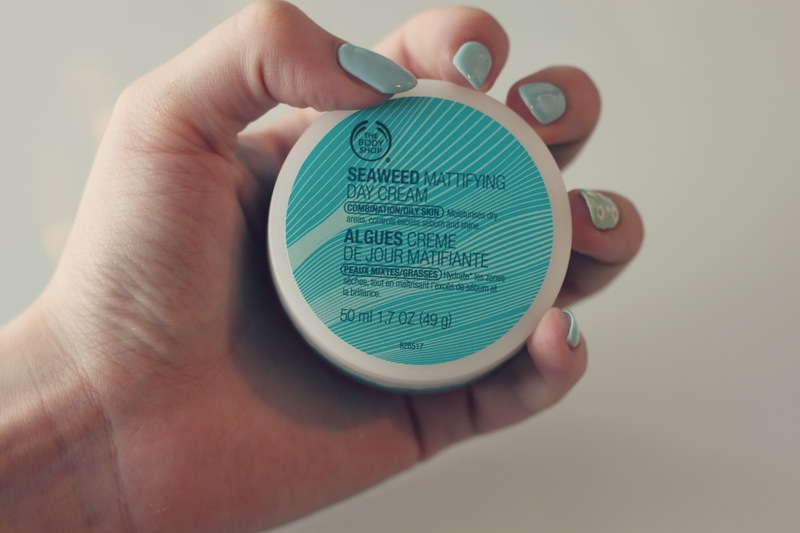 Seaweed Ionic Clay Mask - 5/5 Warning! Gremlin picture ahead. Ok. 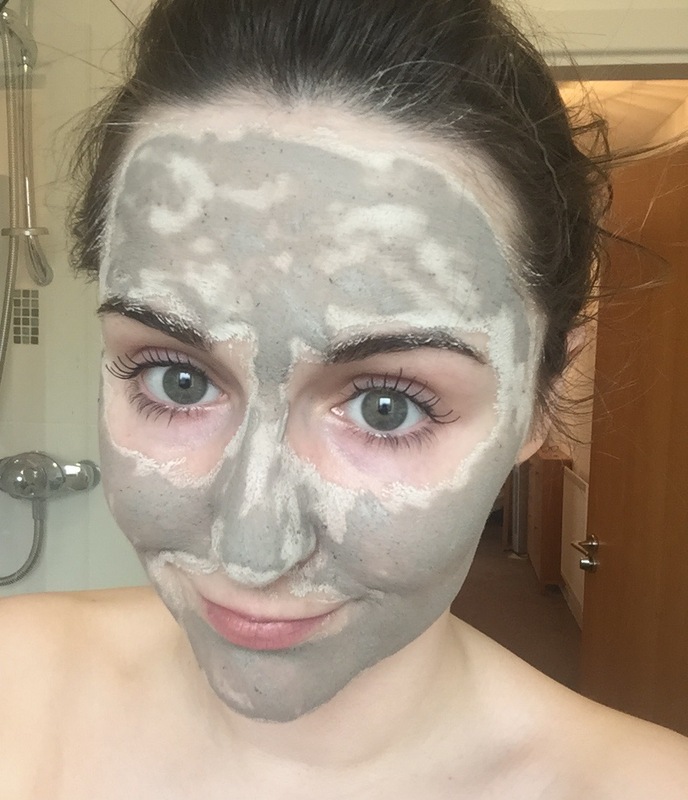 It's not often I come across a beauty product that really really impresses me, but this clay mask was an absolute gem of a find! I'd never delved into the world of face masks much before (maybe once when I was 14 and got a gel one all caught in my eyebrows but lets not go into that painful memory! ), so didn't entirely know what to expect with this. It's best to let your pores open a little before you apply, so I decided to try it right after a good soak in my Fuji Tea bath. I dried my face then with clean dry hands applied a thin layer of the mask around my face, avoiding the eye and lip areas (but apparently not my eyebrows again oops!). Despite being a little nervous about my face becoming quite stiff, I left it on for the recommended 10 minutes, then gently washed it off with warm water. WOW. I mean, I didn't expect to see any improvements with my skin at all let alone straight away, but low and behold when I examined my face, the blackhead regulars on my nose were hugely reduced! Hurrayyyy! Pros: Blackheads/pores on nose were noticeable reduced, skin felt GOOD! 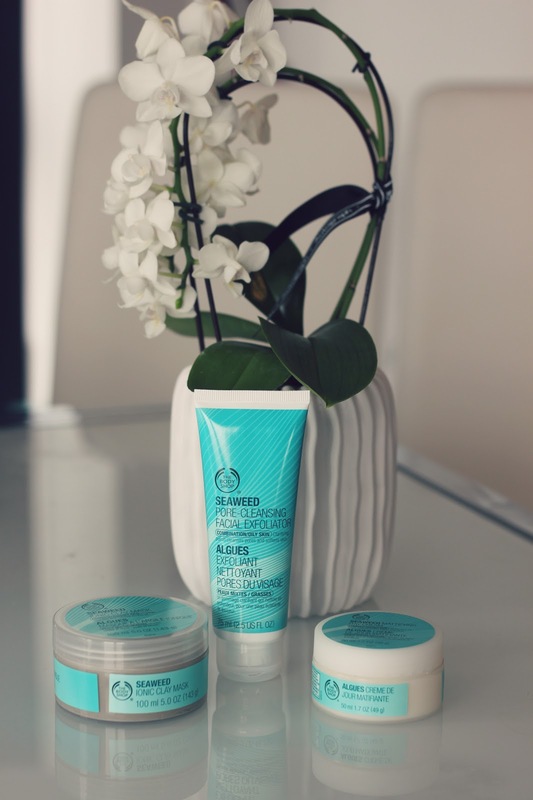 Cons: Nothing - absolutely loved this product!! I really had a great time at the event - thank you to Leah for letting me come along, and overall I'm pleased with the products I purchased. The gremlin clay mask will defintely now be a weekly occurrence for me! Hey Sophie! Thanks for reading the post - ahh can't believe you used to work there and got to try all the fun products! Seems like a lovely event. I haven't been to a blogging event yet, so I'm excited to experience one. I don't really shop at The Body Shop. I once applied there and they didn't hire me so I guess I have a bit of a grudge, lol. 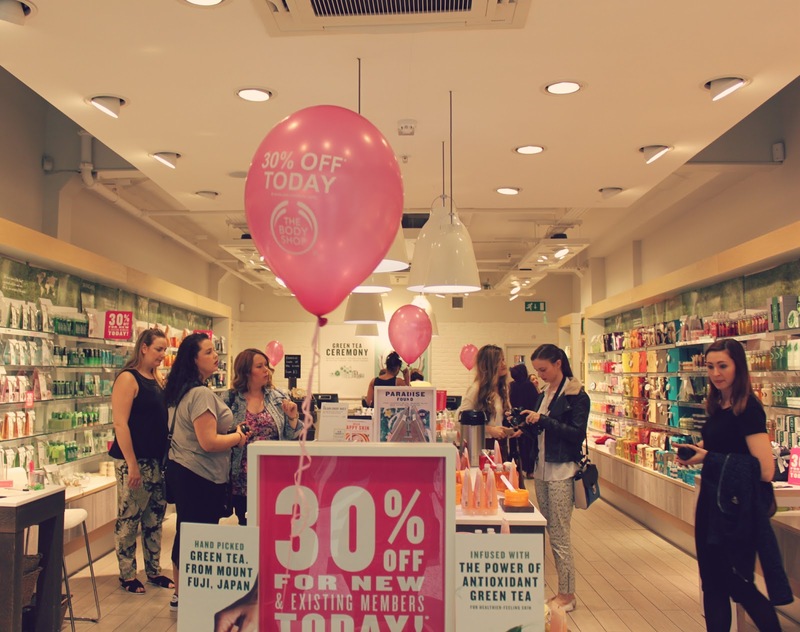 I'll always have a soft spot for The Body Shop, looks like it was a fab event! Love the sound of that Clay Mask, blackheads and pores are my ultimate nemesis so that's definitely going on my wishlist! Great reviews of all the products, love your honesty! Fab review Gabby! 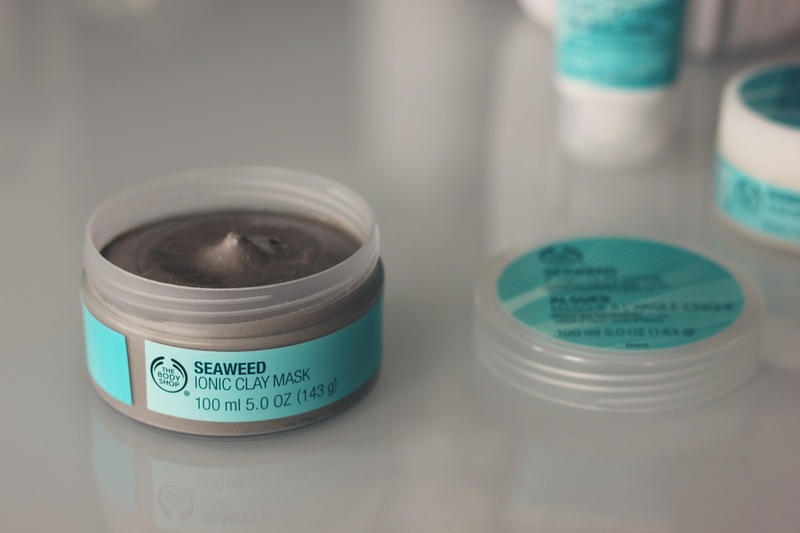 I so nearly bought this seaweed mask! I'm gutted I didn't now - Especially with your rave reviews! I'll pick it up at some point soon though I'm sure, so I can also be a gremlin face! I lovee the body shop! Ahh, I love The Body Shop! I hope you had a great time :) I totally know what you mean about taking pictures with other bloggers haha. It just feels more natural. Love the shots! I loveeee body shop! That face mask looks great!! This looks like such a lovely event. I really do miss living in Leeds! I love the new Green Tea range! I and a little try the other day and I was so impressed. I found it to be much more citruses than I expected. I really want to get the tea strainer for my mum for her birthday!! She loves tea and bath things so it seems the perfect idea, hopefully she won't mind there being no bubbles! I guess you could always add some in extra? Some portable refrigerator have both compartments; freezing and fridge while others offer only one. So what you need? Just decide it before purchasing. 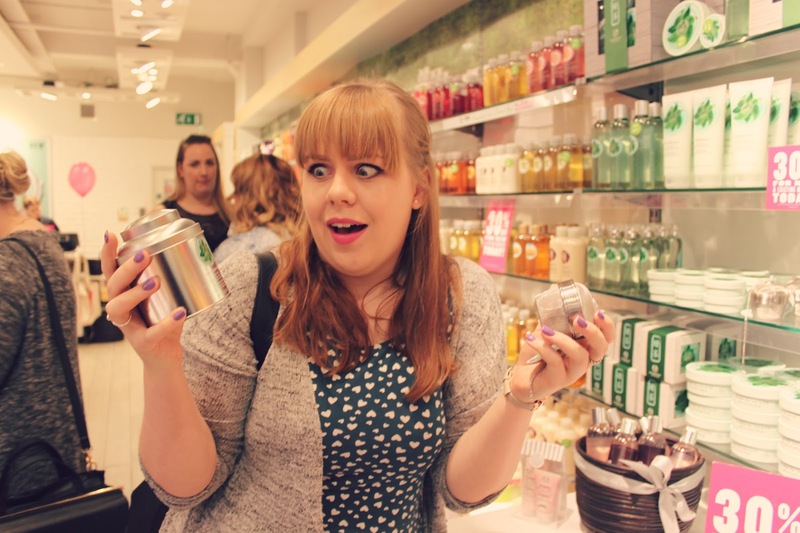 Looks like such a lovely event I love body shop products! So awesome that you got to attend this! How was the green tea bath?! That looks interesting haha. I love events like this. And love a special feature on products for oily skin. Cool post and I love your nail polish!